Sheet Pan Philly Chicken Cheesesteak is a quick and easy way to get your cheesesteak fix at home. Clean up is a snap, using only a sheet pan to make dinner. Sheet pan recipes are all the rage and why not? They are so simple. Line a pan, add a protein, veggies, and starch. Bake until done and serve. What could be easier than that? I guess my 3 Ingredient Crock Pot Pork Carnitas might be but takes a little longer. 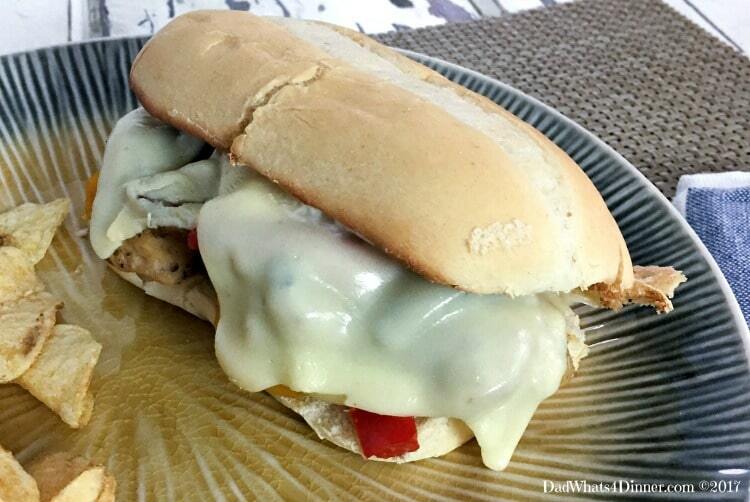 My kids love cheesesteaks and I love this version using chicken and veggies. It might not be the healthiest dinner, but it is better than take-out, just as quick and less expensive than running out to your local cheesesteak shop. To make my Sheet Pan Philly Chicken Cheesesteak pre-heat the oven to 375°F. Next line a sheet pan with foil and drizzle with olive oil. Mix together the veggies with half the seasonings and Worcestershire sauce. Add the veggies to the sheet pan. Add the chicken to the same bowl and stir together with the remaining seasoning and sauce. Stir together with the veggies on the sheet pan. Drizzle with remains oil and bake for 15 minutes. Remove from oven and scatter with the string cheese. Broil until cheese is melted. 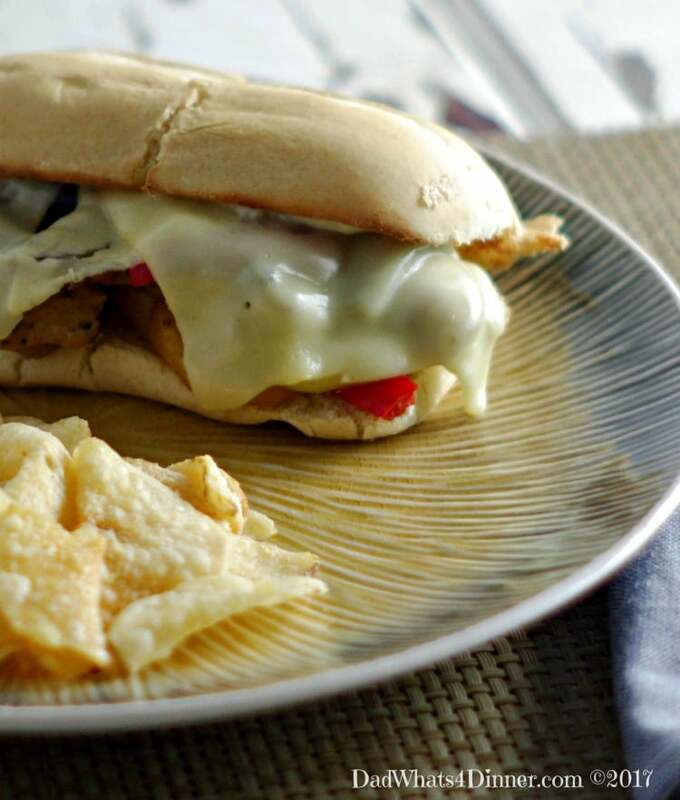 Assemble your hoagies and broil again until provolone melts. Enjoy! 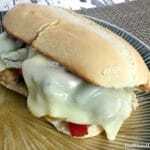 What does your family call its favorite sandwich; hoagie, cheesesteak, sub, hero, grinder, torpedo, wedge or po-boy??? So many regional names for a yummy sandwich. Sheet Pan Philly Chicken Cheesesteak is a quick and easy way to get your cheesesteak fix at home. 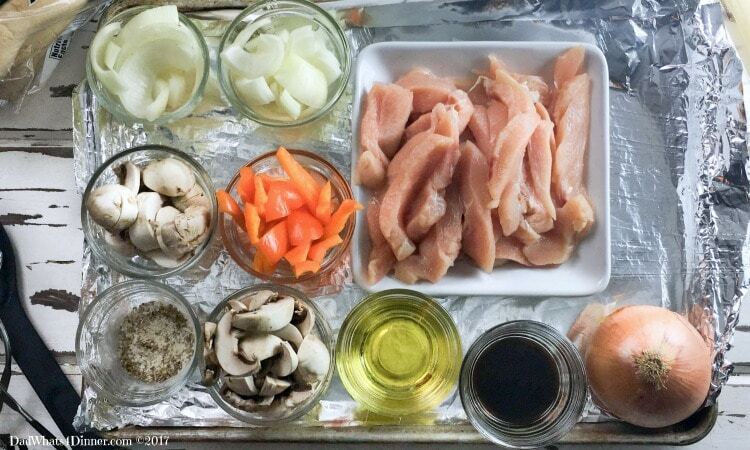 Clean up is a snap using only one sheet pan to make dinner. Cover a sheet pan with aluminum foil and grease with 2 tablespoons of olive oil; set aside. In a bowl, combine onions, mushrooms, and peppers. In a small bowl combine salt, pepper, paprika and garlic powder. Add half spices to vegetables and stir to combine. Stir in 1 1/2 tablespoons Worcestershire Sauce. Add to sheet pan. Add the chicken to the same bowl. Coat with remaining seasonings and Worcestershire Sauce. Add to veggies on the sheet pan and mix to combine. Drizzle with remaining oil. Bake for 15 minutes stirring once. Remove the sheet pan from the oven and turn the oven to broil. Top the chicken and veggies with string cheese. Return to oven and broil until cheese is melted. Remove sheet pan from oven. Line another sheet pan with aluminum foil. Split and place 8 hoagie rolls on the sheet. Spread mayo if desired. Divide cheesesteak mixture equally among each roll. Top each with 1 slice provolone cheese and broil for another minute. 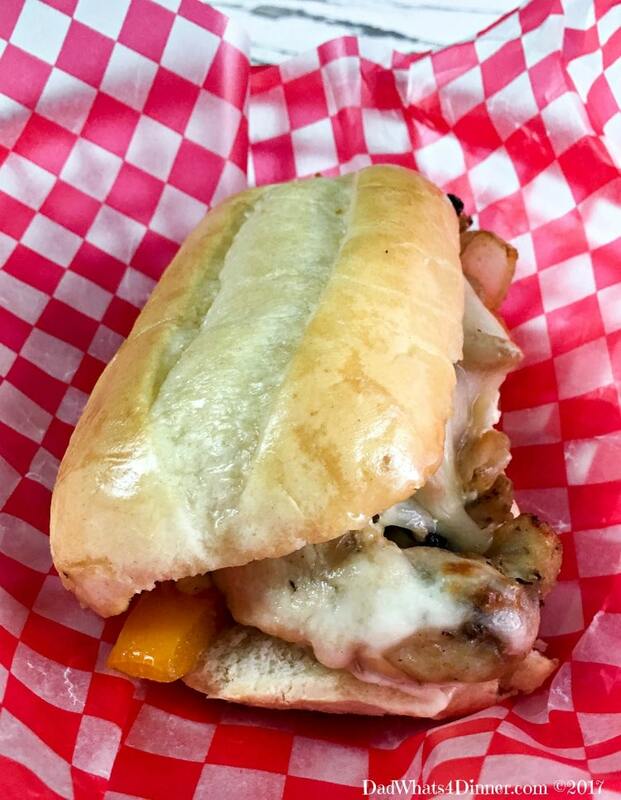 I will be bringing my Sheet Pan Philly Chicken Cheesesteak to Freedom Fridays, Friday Favorites, Fiesta Friday, Weekend Potluck. Check out my Link Parties page for other great places to find new recipes. 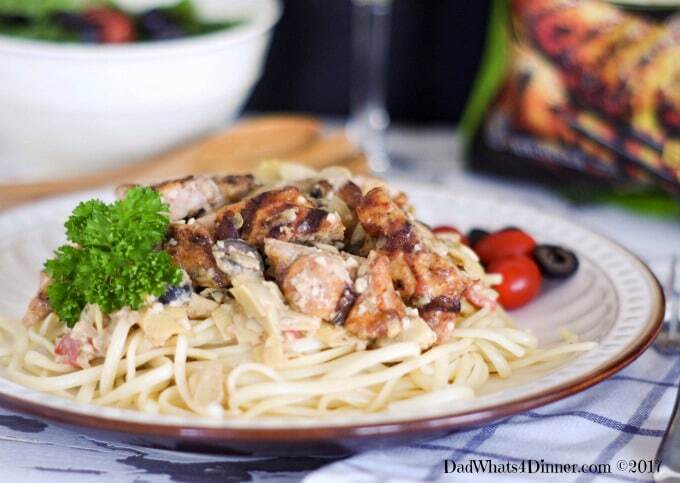 Shared your recipe with a Dad who likes to cook. Thanks! I am sure he will!. This looks delicious, Quinn! I am going to have to put these on our menu soon! 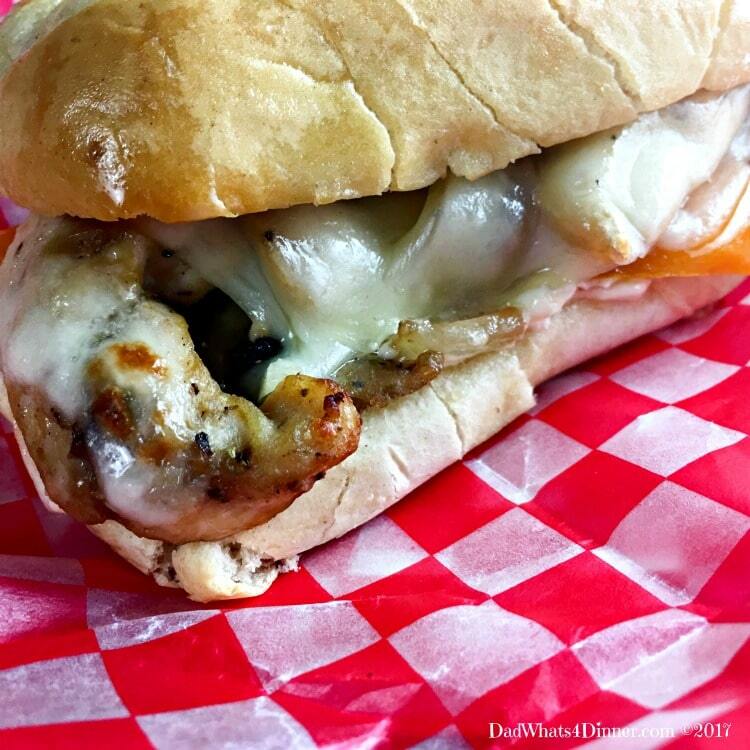 Love Philly cheesesteak and using chicken is such a great idea. Thank you for bringing to the party. 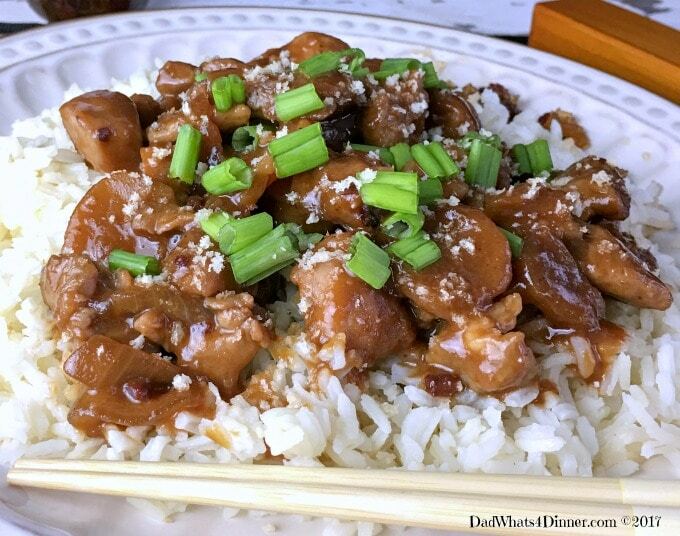 Using chicken instead of beef sounds like a great twist on a classic. Thanks for sharing at Snickerdoodle. This was the Most Clicked from our last party and all of the co-hosts will be featuring it at tomorrow’s party and it will be linked to in our party reminder email. Hope to see you at tomorrow’s party.